Bonjour, Guten Morgen and Good Morning! 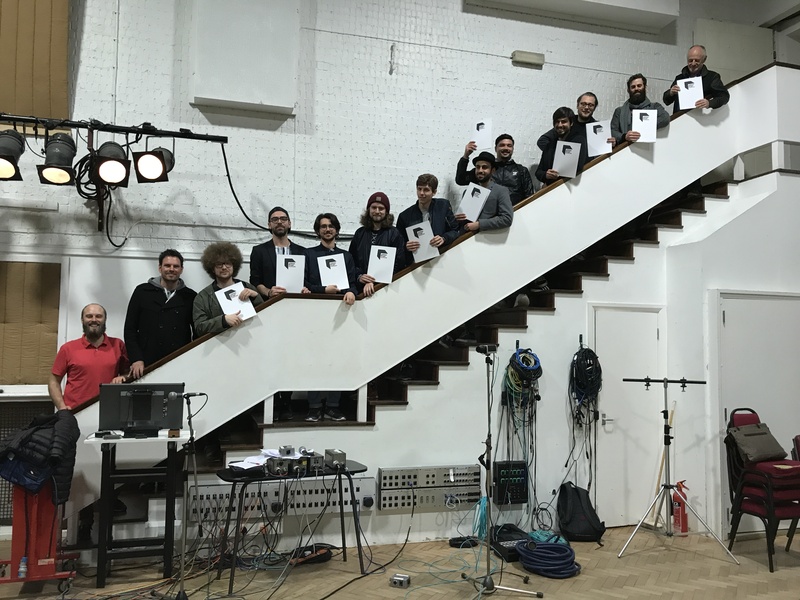 Each of these different ways of saying “hello” were heard during the last four days at Abbey Road Institute London as we welcomed our students from Abbey Road Institute France and the latest graduates from Abbey Road Institute Germany. 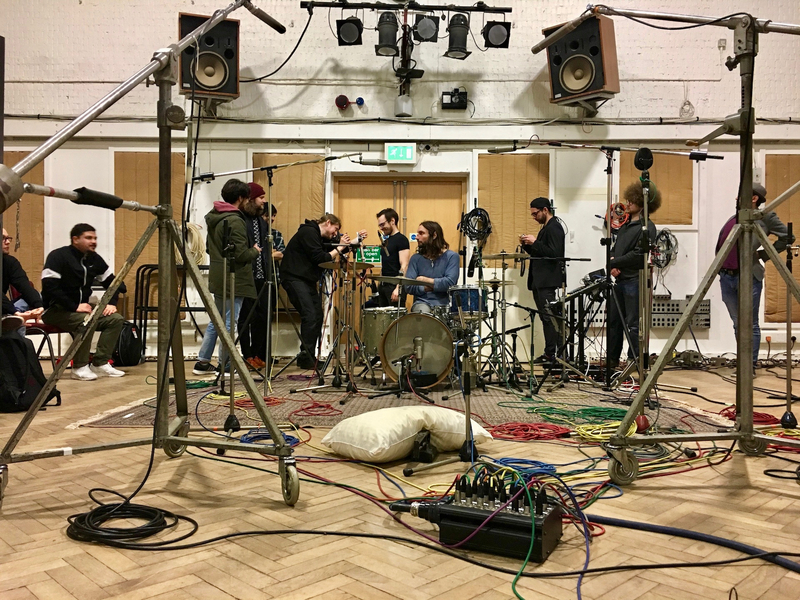 Saturday and Sunday was spent in Abbey Road Studio’s Two and Three with the students from Frankfurt and Berlin recording with the band Desert Ships. The students worked with Alex Scannell and Stefano Civetta to set up the studio and start work. “It was amazing to be here at the end of our course and translate everything we’ve learned in the last 12 months into practical work”, Max, one of the graduates said. They recorded their own versions of “Highway to hell”, “Smoke on the water” and an acoustic version of “Message in a bottle” and spent Monday and Tuesday in Abbey Road’s Penthouse Studio to mix and master their recordings. 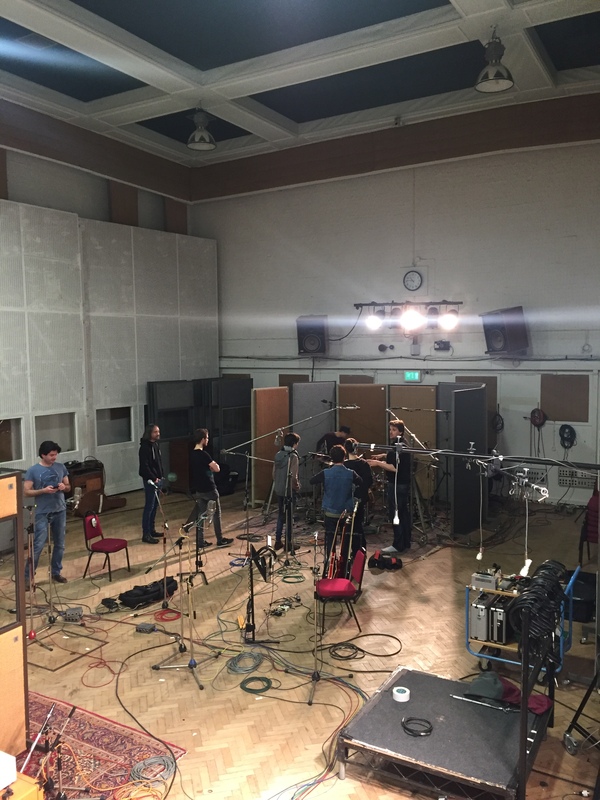 Monday and Tuesday saw Studios Two and Three utilised by our students from Abbey Road Institute Paris. They recorded a self-composed piece with a guitar, bass, drum set and vocals. They were responsible for setting up the studio and organising the recording session themselves. “The students are very independent. 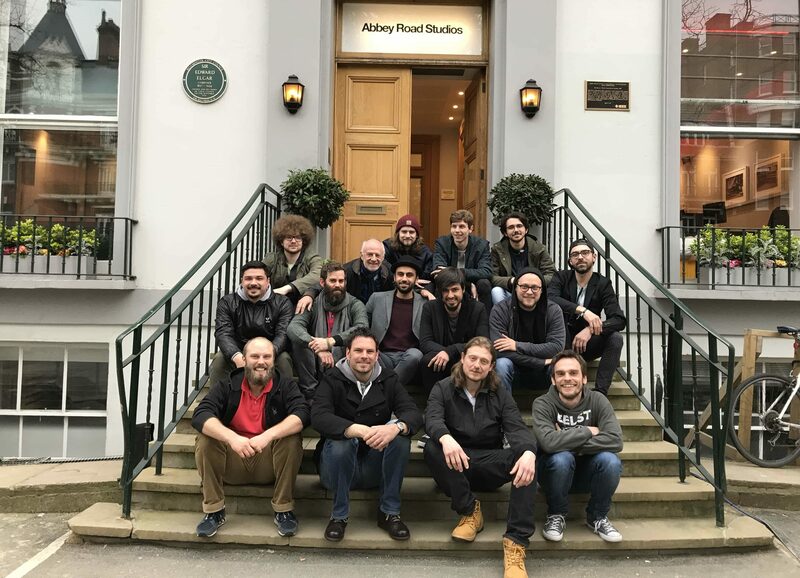 It’s really impressive to see that those guys are confident setting up the studio at this point in their studies”, Paul Pritchard, Abbey Road Studios engineer. 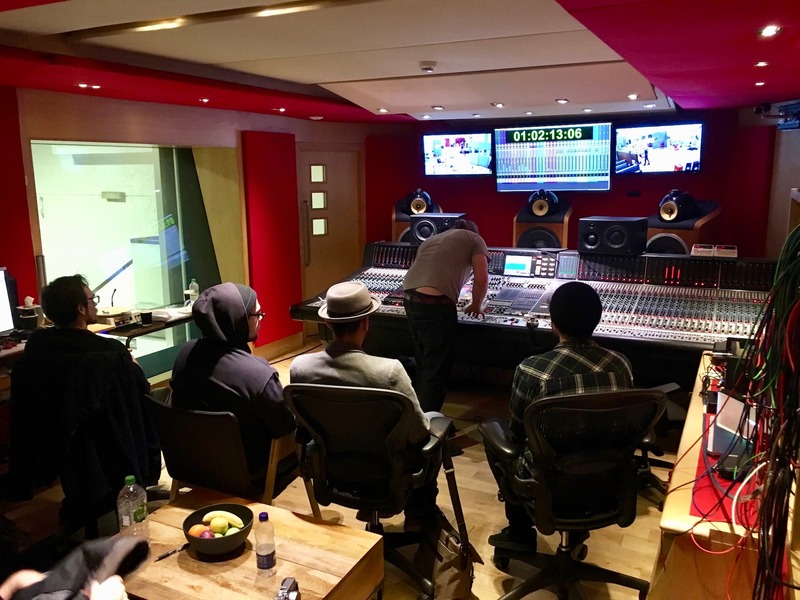 The four days were very productive and our students and graduates made the most of their time working within the professional studios at Abbey Road. 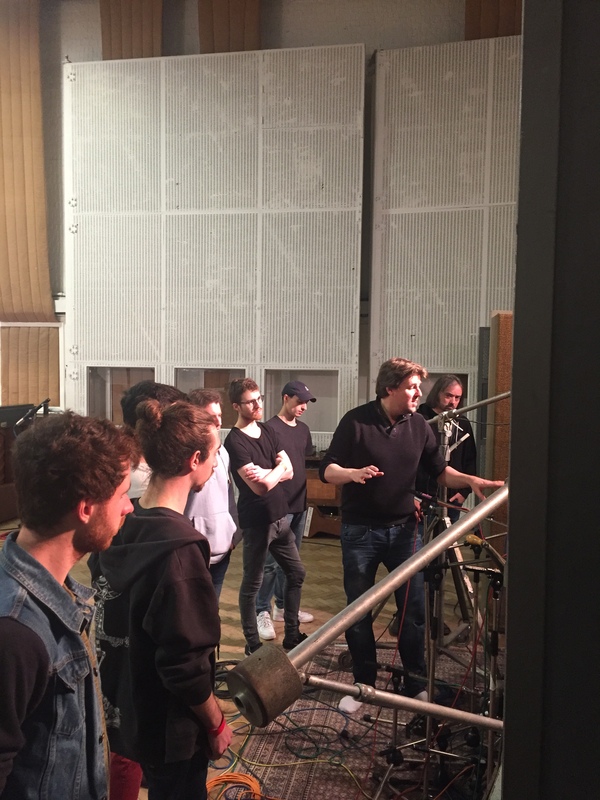 The experience of recording, editing and mixing in the world famous studios and meeting the network of students from across our European schools has been invaluable. One of the highlights on the last day was the diploma ceremony for the German graduates in Studio Two. Together with Jens Kleinhuis (Head Coach Frankfurt), Stefan Seelenwald (Programme Coordinator Germany) and Carlos Lellis (Programme Coordinator London) our students received their diplomas and are ready to make that next step in their careers. We’ll be watching closely to see where they move onto next! It’s been a delight to host our French and German Institutes here in London. If you want to see more about it check out our Facebook & Instagram. Do you want to be part of this next time? You can apply to join our next course which starts in September 2017. Find out more on the course page for our Advanced Diploma in Music Production and Sound Engineering.